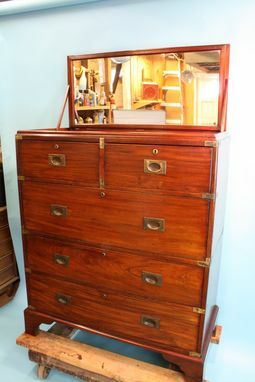 This British campaign chest from the 19th century came into the shop retaining most of its original finish. It was missing the moulding on the right hand side at the top. 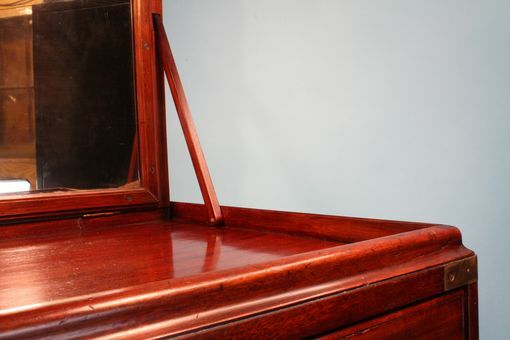 Originally, a support for the mirror was attached to that moulding in the same manner as shown in the photo of the left hand side. 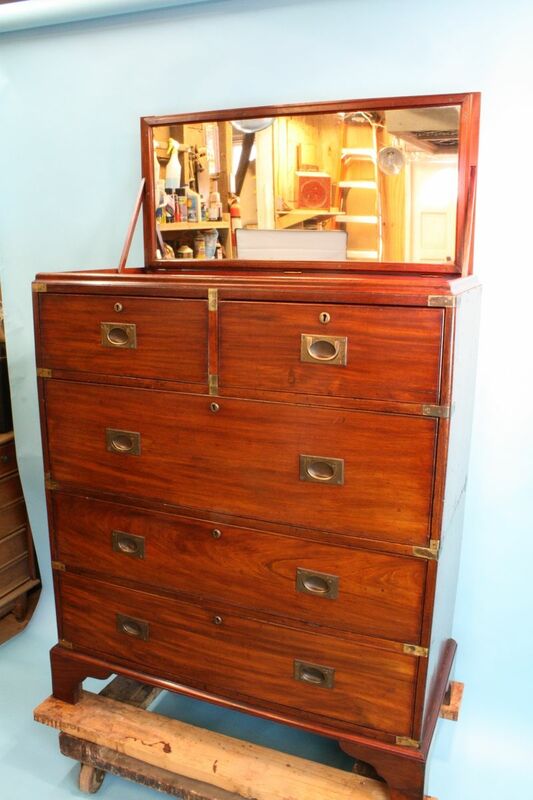 The quality of the mahogany used in construction of this piece is no longer available today except by salvage. 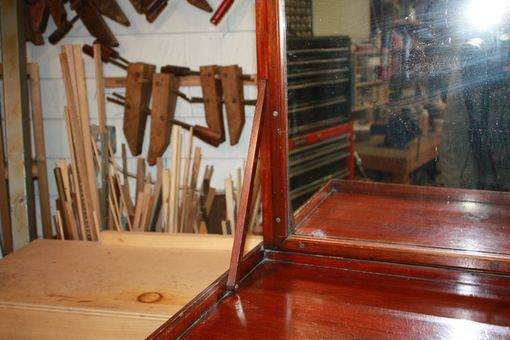 In order to replace the missing moulding and mirror support, wood selection was of utmost importance. It usually takes years of collecting scraps and samples to have the resources to find the right match. 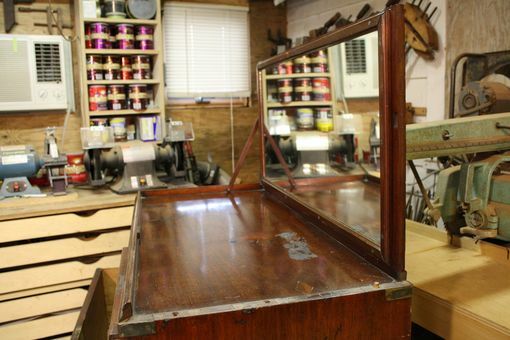 Then the repair must be finished to match the existing original finish. Compare the photo of the completed right hand side lid support with the original on the left. Several of the drawers were not functioning since the center support at the bottom of the drawer pulled out of the groove in the back of the drawer front. See the photos of the bottom of the drawer. These had to be put back into position, reglued, and reenforced. The feet had come unglued and the joints had to be cleaned and reglued. Other repairs included replacing missing pieces of wood in the carcase and finishing them to match the original. 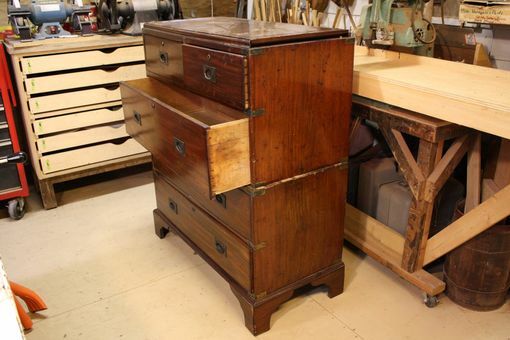 All joints in the drawers and carcase were checked and reglued as necessary. 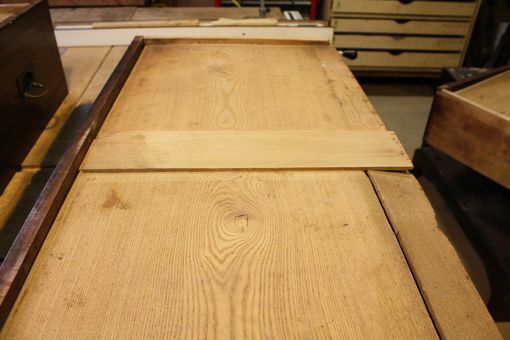 Drawer bottoms and carcase backboards were renailed where necessary. 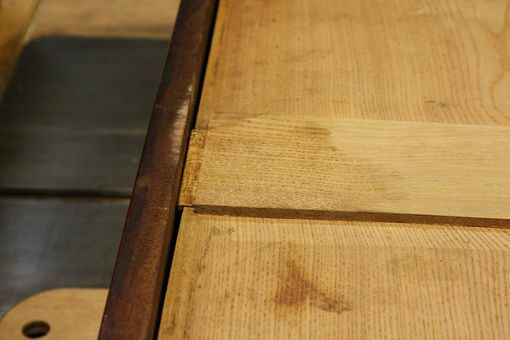 The whole piece was then cleaned, the finish was repaired where needed, and paste wax was applied to the entire piece.